The gift of saying yes – Adventures in Networking! I had forgotten what a true pain it is to move. This past week I moved house and am still living out of boxes. I now have NO storage space and have to purge 1/3 of everything I own. Which is a good physical and spiritual exercise. Talk to me if you’ve just moved out on your own or if you want a free Tiffany lamp. I was in Barrie Ontario today. It’s the end of an era, pretty much my most active network contact, my northern champion in Barrie is leaving. Her name is Ann Andrusyszyn and she is a human dynamo. Working for the Barrie public library she has been such a wonderful northern ambassador for the fundraising profession and promoter of the Simcoe area. As Ann packs up for a move across the country she gave me a generous gift this morning at 7:30am. She said yes to my help. It’s the greatest gift someone can give me. 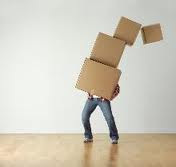 You see I have all these boxes and moving supplies. Didn’t want to junk or recycle them them when no doubt someone is moving. Ann let me drop off all the best boxes and some other supplies off. Sometimes the strongest gift can be that of accepting. Fundraisers and “giving” types are allergic to accepting praise, gifts and thanks. A great book called “Being Generous” introduced me to the concept of “circulation”. A more grassroots concept than the constant acquisition, hoarding and selling goods. As a fundraiser it was a breath of fresh air. If you read it let me know! Would love to discuss it with someone.